They didn't even realize that I had created a perfect handle on which their grubby little paws could easily hold one chicken leg in each hand and still get to every bite of meat. Look at those things, they're perfect. The process to create these lollipops starts by using a sharp knife to cut around the skin and meat at the knuckle towards the bottom of the leg. You're going to cut through some fat and tendons there as well. Using both hands, you're going to hold one end and using the other hand, pull the meat all the way to the other end of the bone. It should slide fairly easily and will all bunch up together in a large ball at the end. Clean up the exposed bone and snip any tendon ends that may be sticking out. After they've had their overnight soak, it's time to season them and get them in the smoker. If you don't have a smoker you could also roast these in the oven but you'll miss out on a lot of the extra flavor. 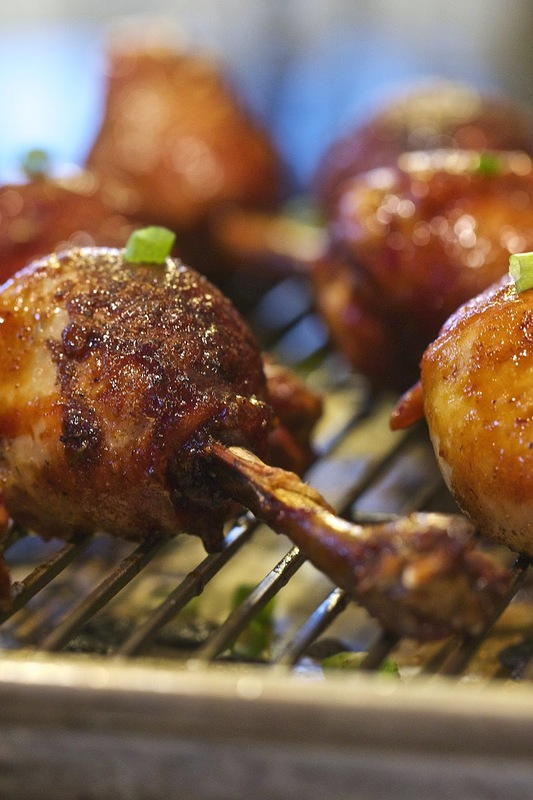 The get the perfect final flavor, I glaze the legs and then let them finish smoking to set it. 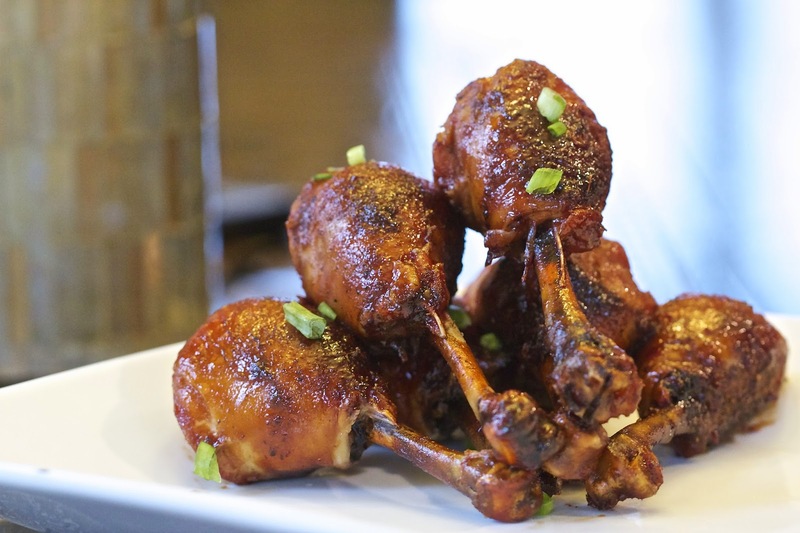 The result is a perfectly juicy leg full of smoky flavor with crispy skin that even if they don't fully appreciate the look, everyone definitely appreciated the taste. Using a sharp knife, cut completely around the base of the drumstick, just above the knuckle. Using both hands, you're going to hold one end and using the other hand, pull the meat all the way to the other end of the bone. It should slide fairly easily and will all bunch up together in a large ball at the end. Clean up the exposed bone and snip any tendon ends that may be sticking out. Set aside. In a medium bowl combine the yogurt dip, onion, lemon juice and seasoning. 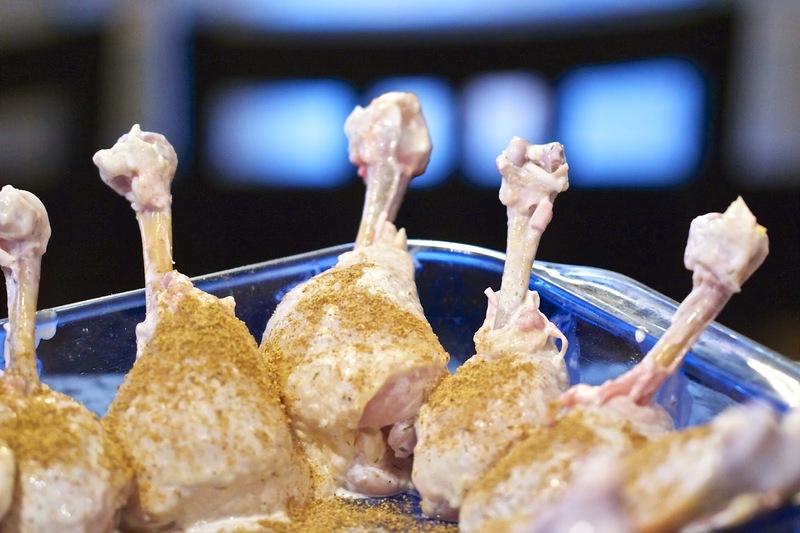 Place the mixture in a large gallon freezer bag and add the prepared drumsticks. Mix the ensure the legs are covered and then let them sit in the refrigerator for 8-12 hours. Remove from the fridge, remove extra sauce but don't worry about cleaning them completely. Season with additional Jamaican Jerk seasoning. Wrap the exposed bone of each leg in tinfoil. Preheat the smoker or oven to 300 degrees. Place the butter in the 9x13 pan and let it sit in the smoker as it heats. Add the chicken legs, standing them around the edge of the pan with the meat end in the butter. Smoke for about 2 hours. Remove from the smoker. Remove the tinfoil from the legs. 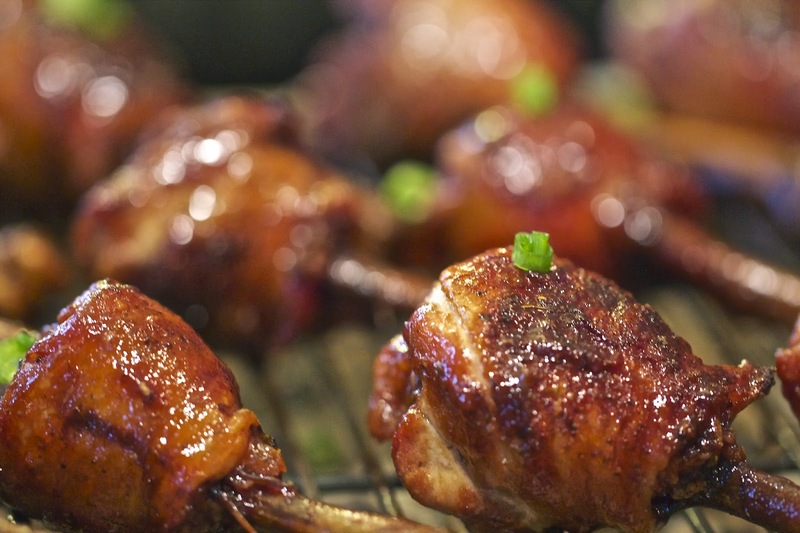 Heat the apricot sauce in a small sauce pan and dip each lollipop completely in the sauce. 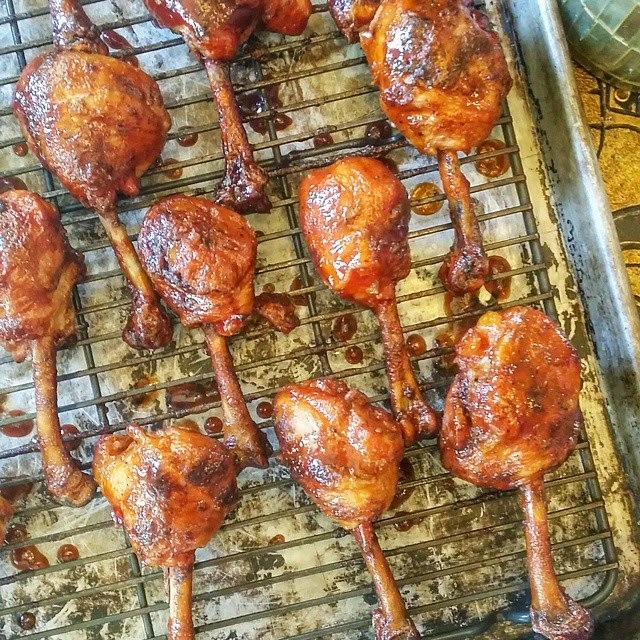 Place each leg back on a sheet pan. Place the pan back in the smoker for approximately 30 minutes or until the glaze has set. Remove and serve warm. Wow, it seems to be super tasty. Thank you a lot for sharing this recipe. I really enjoy it and got know know food relation info from your blog post. Keep sharing like this. I will cook it after finishing my work on the custom essay writing service homework help. Keep on posting! !